My husband once spent SIX HOURS inside Best Buy. SIX HOURS. That’s 1, 2, 3, 4, 5 and 6 separate hours. We weren’t married yet and he was purchasing a TV. He sort of obsesses over purchases. As true as that is, I’m pretty sure he was in Best Buy a little longer than expected because it was also the day he first saw Britney Spear’s video on a gazillion different screens for “Hit Me Baby One More Time”. Mmmm-hmmmm. Pretty sure. That skinny little heifer. So, six hours. The man is capable of shopping and staying in one place for a long, long, long time with or without a Britney Spears video in front of him. Unlike many women, I don’t really LOVE to shop. I grew up going to the mall a lot with my family and I remember daydreaming of sitting at home in my backyard reading or playing or something while going in and out of stores. I’m not a shopper. When I find myself at a store that I am ready to leave but can’t, I find ways to entertain myself. This is exactly what happened at Home Depot last week. We are getting our house ready to sell, so we needed lots of different things from the store. After I did the necessary perusing and choosing and agreeing and disagreeing and “no way”-ing and “check this out”-ing and deciding, I still found myself in the store while my husband pondered and brewed and pondered some more. 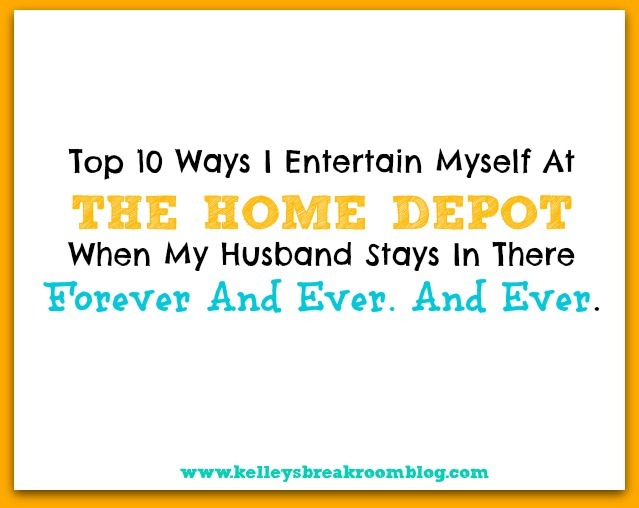 So, these were the 10 ways I entertained myself within the orange and tan walls of The Home Depot, which, by the way, is another area of discussion. It’s just “Home Depot”, amirite? 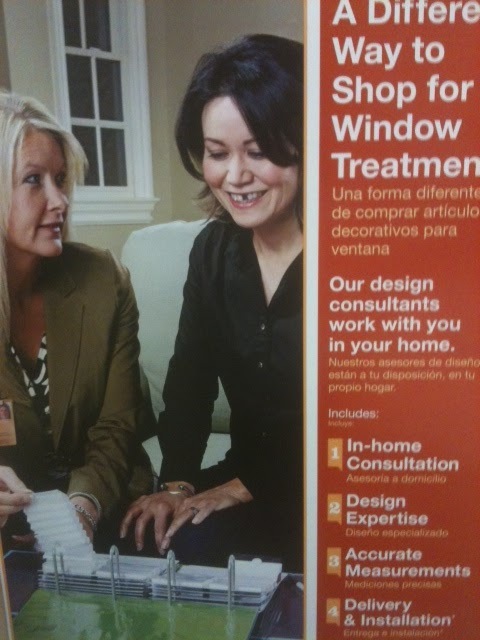 Not “The Home Depot”. 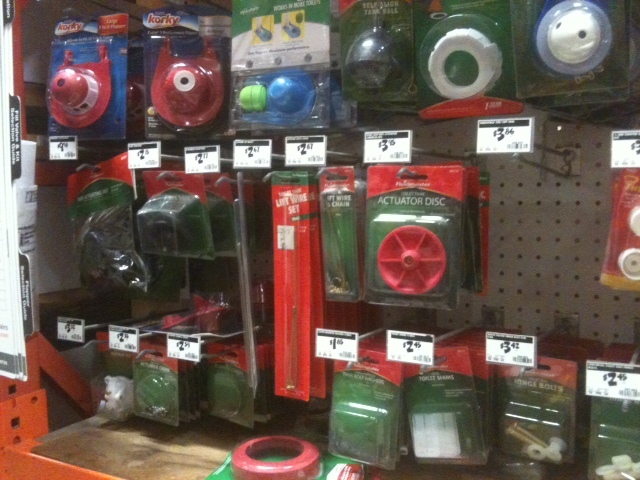 I mean, it IS officially “The Home Depot” but that “The” totally needs to take a hike. Deep down, I didn’t give a rip what any of these things were and had no clue what purpose any of them served or, really, if they had any purpose in life at all. That didn’t stop me from standing RIGHT next my husband, though, and acting like I did. As I saw him reach for something, say that red “actuator disc”, I’d reach for the actuator disc AT THE SAME EXACT MOMENT while saying something like, “We could really use a red actuator disc.” He smiled the first 200 times I did but was ready to ask the animal shelter if they accept humans at #203. Are these lights classified as A, B, C and DD instead of watts? 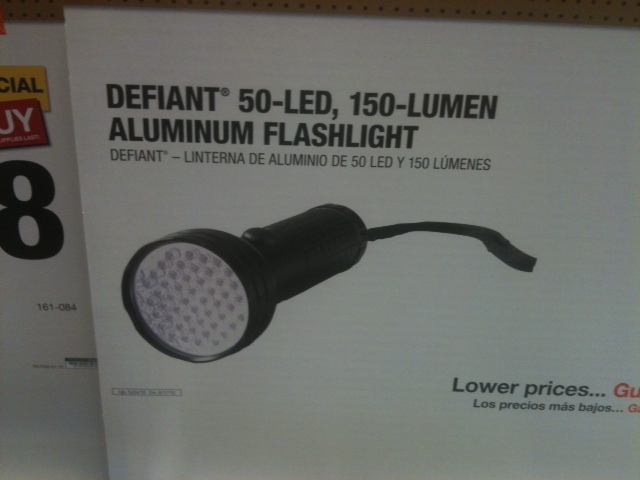 A defiant flash light sounds like one that wouldn’t hold a battery charge for long. 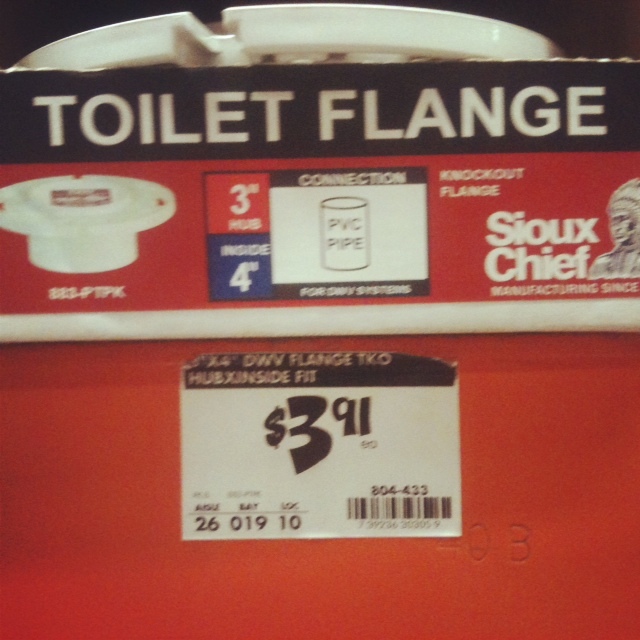 You may have another word that brings you down, but one of mine is definitely FLANGE. FLANGE. FLANGE. No way. Noooooo way. Not a fan. 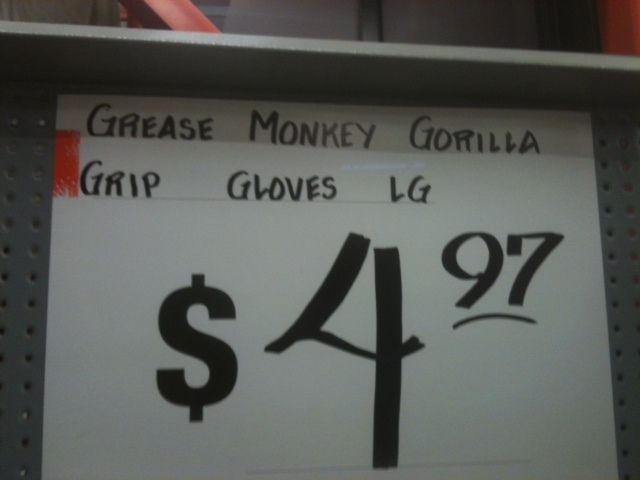 Monkey or gorilla? PICK ONE!!! 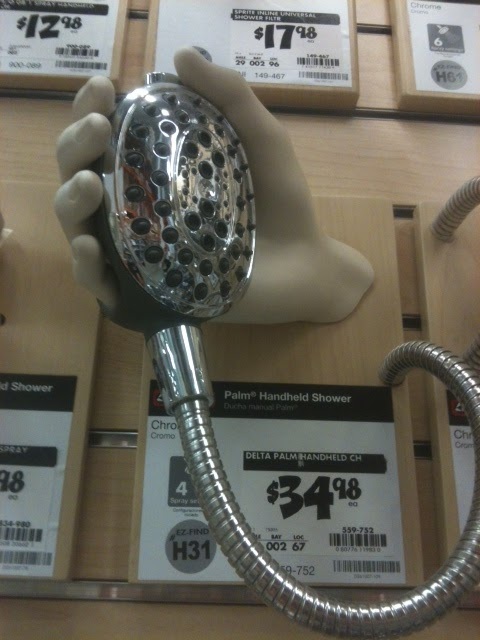 The sink people are out of control. 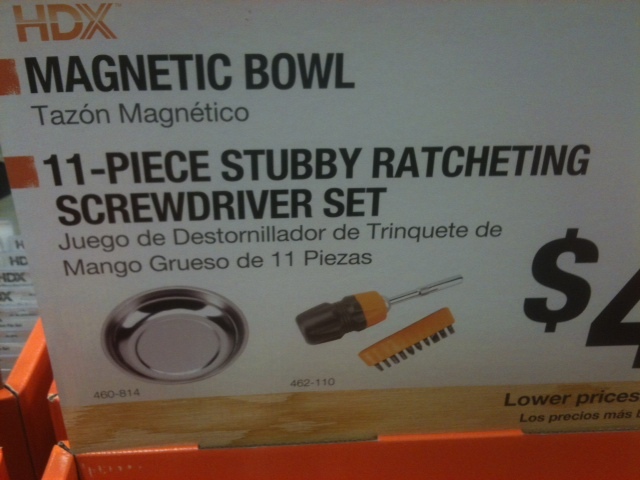 Stubby probably gets turned down by all of the ladies. #10 LOOK FOR WORDS WITH FRIENDS WORDS TO IMPRESS PEOPLE THAT ARE BEATING ME OVER AND OVER AGAIN LIKE MY COUSIN IN FLORIDA, SCOTT. 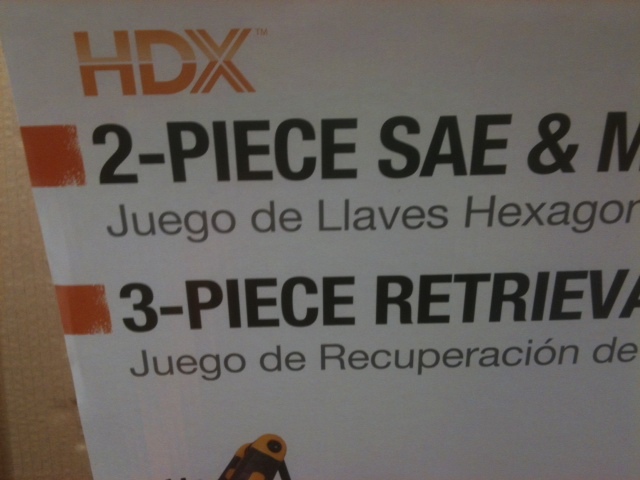 Turns out “SAE” is an acronym or something. Dang it. 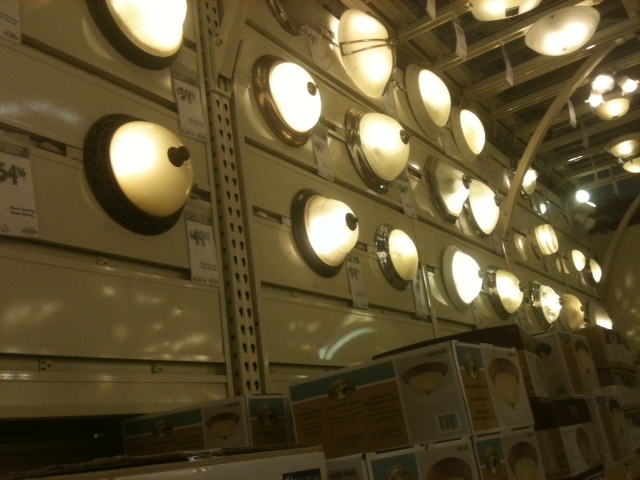 Feel free to use any of my ideas for your entertainment the next time you are at Home Depot or Loew’s. You may have a long list of your own and don’t need mine at all. Maybe your list includes playing on the tractors? Seriously, please don’t be stingy with your good ideas. Share them with us! Make Home Depot such a fun place to be that you consider taking a family vacation there and encourage others to do the same! Are you back to link up with us? Let’s high five!! If you are new here, let’s high five, too! No, let’s high ten. New linkers get high tens. ANYWAY, seriously, Anna and I love reading your older or more recent humor posts each week and appreciate very much that you stop by to share them here with all of us. Visit Let Me Start by Saying… to see if you were one of Kim’s favorites!